After months of sneak peeks, Legacy Family Tree Version 8 is now available. Ol' Myrt made sure that the official press release has been published by Geoff Rasmussen before venturing to tell my DearREADERS the good news. 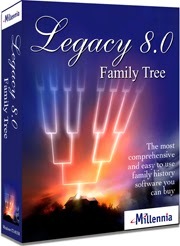 Legacy 8.0 is now available at www.LegacyFamilyTree.com, for US $29.95 for the download-only version or US $39.95 version which includes the 336-page printed user’s guide, installation CD, and beginner’s training video. Discounted upgrade pricing is also available for users of previous editions of Legacy Deluxe. The free, Standard edition can also be downloaded from www.LegacyFamilyTree.com. 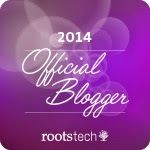 Is Legacy Family Tree 8.0 a free upgrade? If not can I buy it at a discount? This includes step-by-step instructions, tutorial lessons and examples, training CDs and free online video demonstrations, tips and tricks, and links to additional help. Legacy User Group Mailing List - http://www.legacyfamilytree.com/LegacyLists.asp administered by Millennia Corporation. Legacy User Groups - http://www.legacyfamilytree.com/UsersGroups.asp is a list of independent local groups that meet to share their favorite uses of Legacy Family Tree. Legacy 8 Upgrade Options - for owners of previous versions. I need to convert Family Tree Maker 5.0 files to use with Legacy 8. Can ï be done?